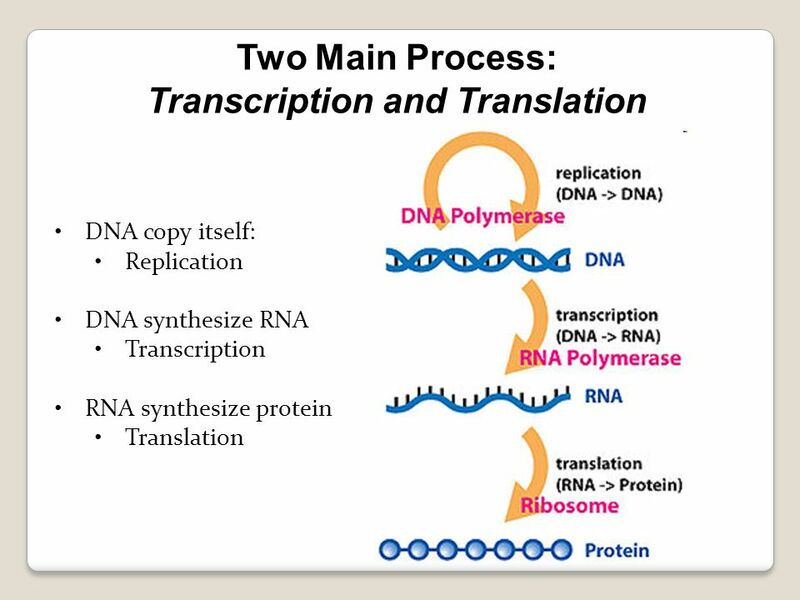 Two Main Process: Transcription and Translation DNA copy itself: Replication DNA synthesize RNA Transcription RNA synthesize protein Translation DNA replication: to transmit the genetic information between parents and progeny, the DNA must be replicated faithfully. Replication is carried out by a complex group of proteins that unwind the superhelix, unwind the double-stranded DNA helix, and, using DNA polymerase and its associated proteins, copy or replicate the master template itself. 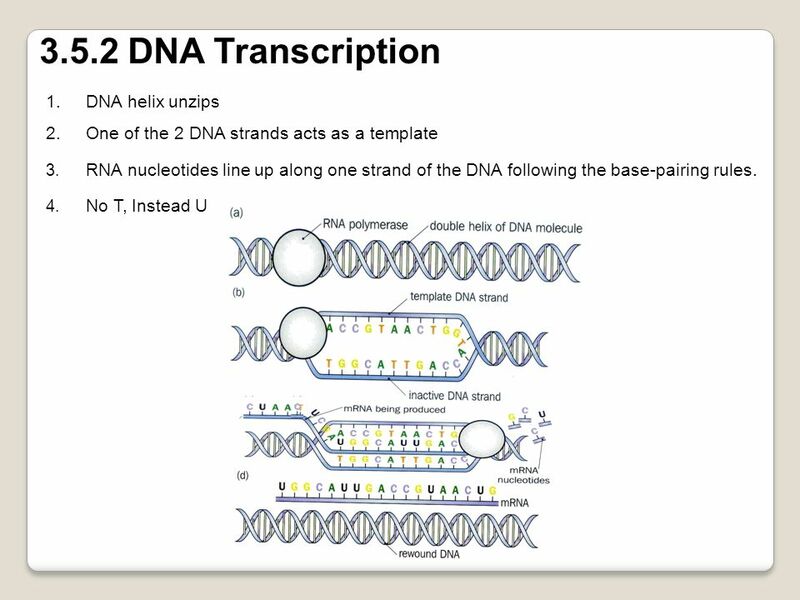 DNA Transcription: Transcription is the process by which the information contained in a section of DNA is transferred to a newly assembled piece of messenger RNA (mRNA). It is facilitated by RNA polymerase and transcription factors. 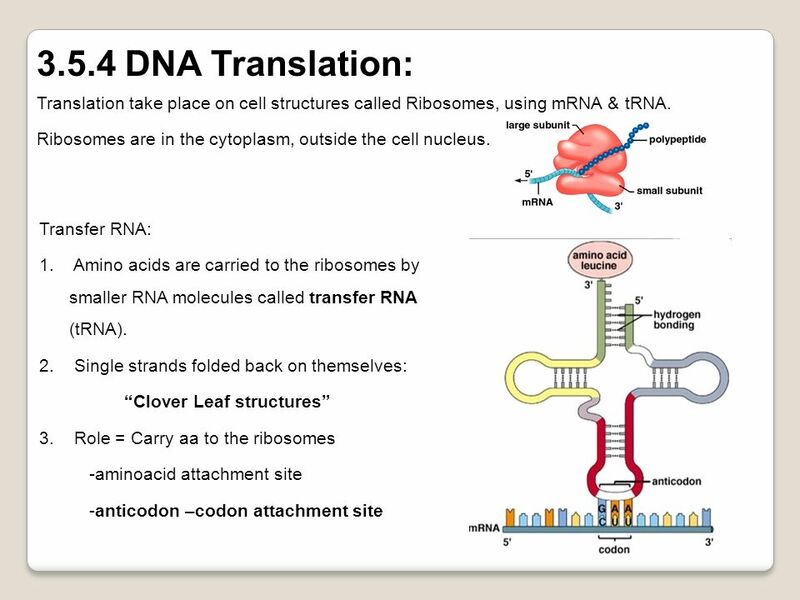 DNA Translation: Eventually, this mature mRNA finds its way to a ribosome, where it is translated. In prokaryotic cells, which have no nuclear compartment, the process of transcription and translation may be linked together. 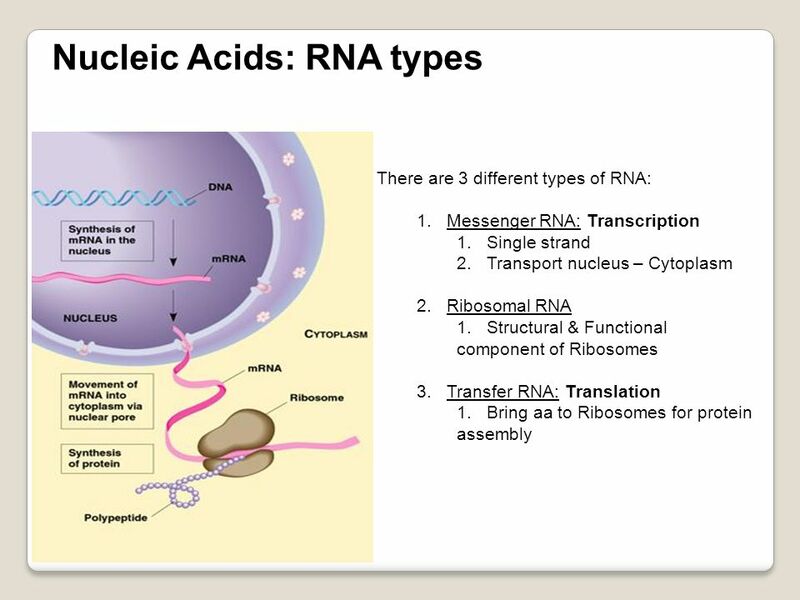 In eukaryotic cells, the site of transcription (the cell nucleus) is usually separated from the site of translation (the cytoplasm), so the mRNA must be transported out of the nucleus into the cytoplasm, where it can be bound by ribosomes. 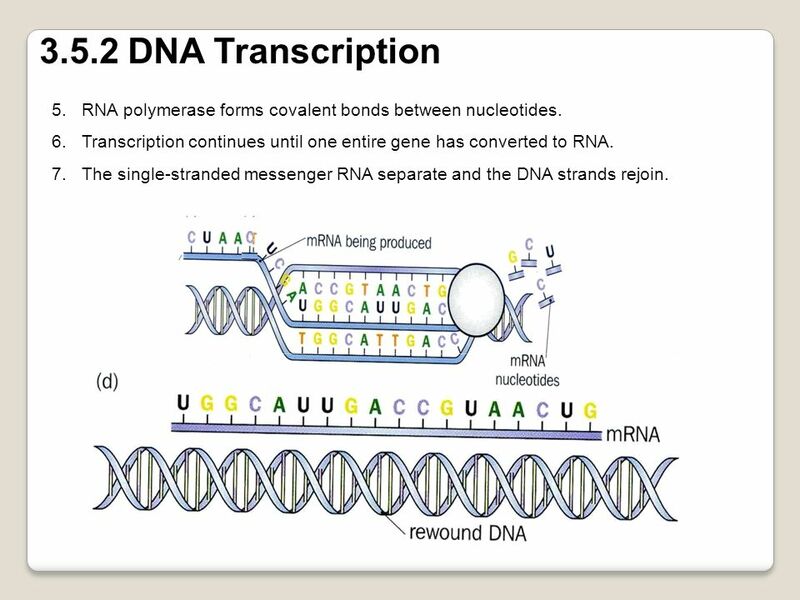 6 3.5.2 DNA Transcription RNA polymerase forms covalent bonds between nucleotides. 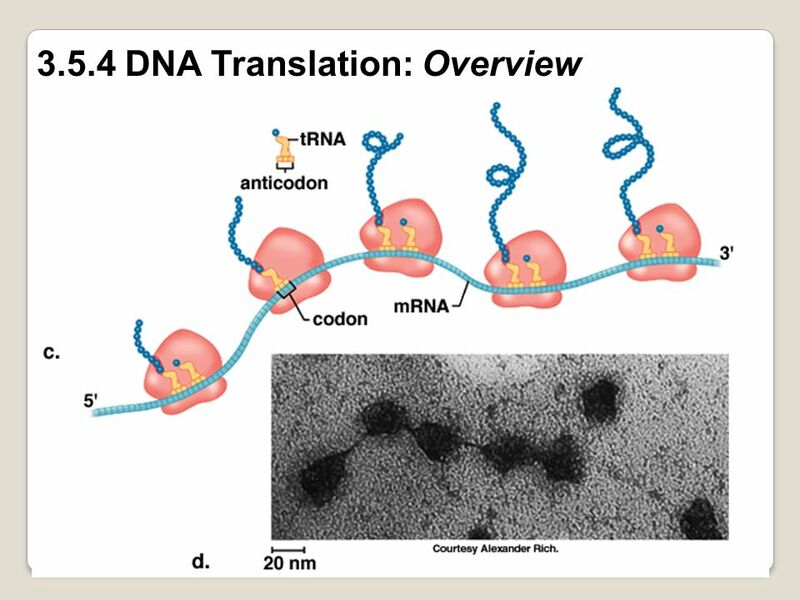 Transcription continues until one entire gene has converted to RNA. The single-stranded messenger RNA separate and the DNA strands rejoin. 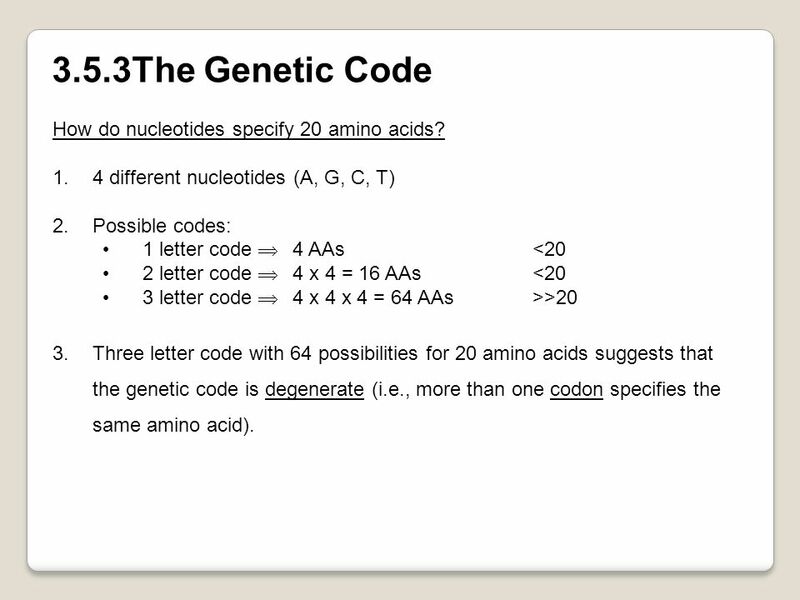 7 3.5.3The Genetic Code How do nucleotides specify 20 amino acids? 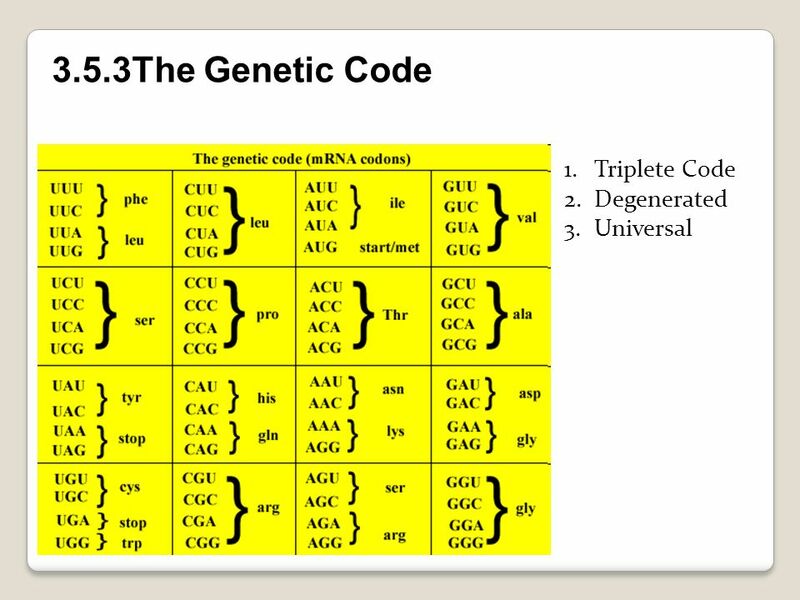 4 different nucleotides (A, G, C, T) Possible codes: 1 letter code 	4 AAs	<20 2 letter code 	4 x 4 = 16 AAs	<20 3 letter code 	4 x 4 x 4 = 64 AAs >>20 Three letter code with 64 possibilities for 20 amino acids suggests that the genetic code is degenerate (i.e., more than one codon specifies the same amino acid). mRNA binds the small subunit of the ribosome tRNA molecules are present, each one carrying the specific aa & anticodon tRNA binds to the ribosome at the site where the anticodon matches the codon on the mRNA Two tRNAs binds at once and the first one in transfers the growing polypeptide chain to the second one in. 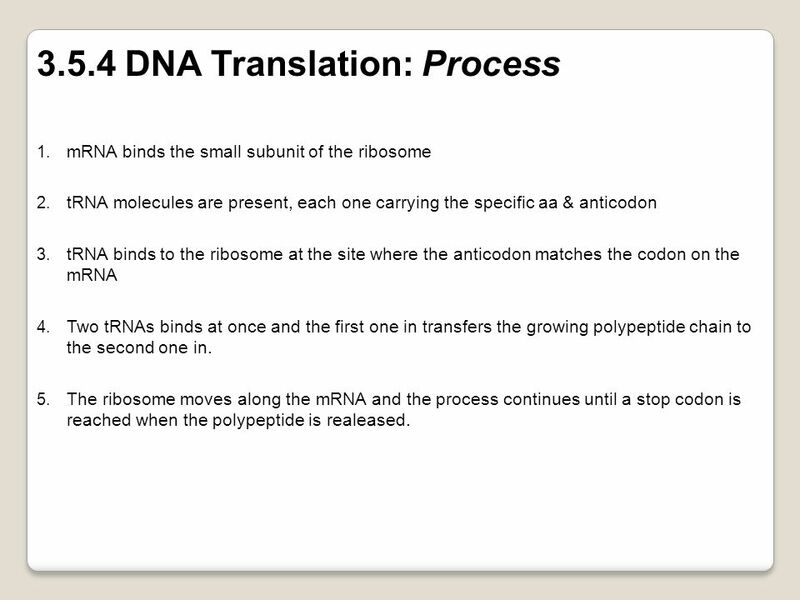 The ribosome moves along the mRNA and the process continues until a stop codon is reached when the polypeptide is realeased. 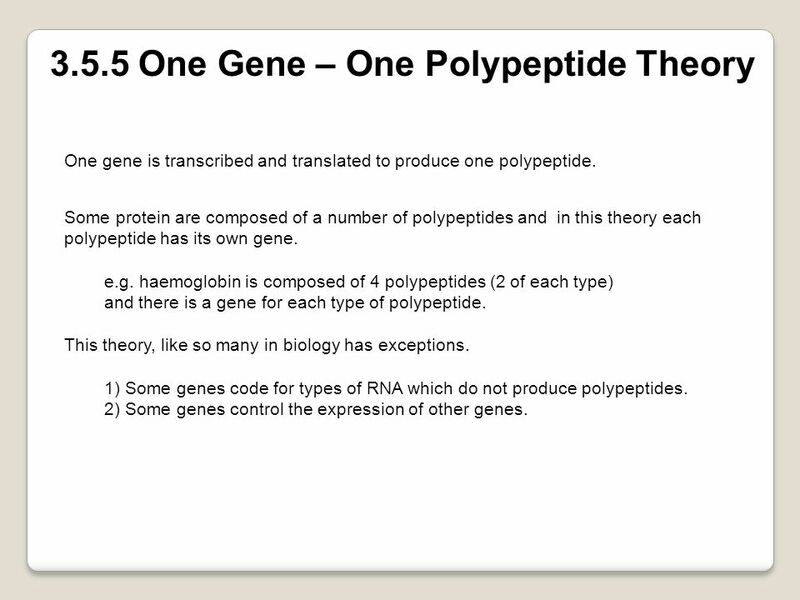 One gene is transcribed and translated to produce one polypeptide. 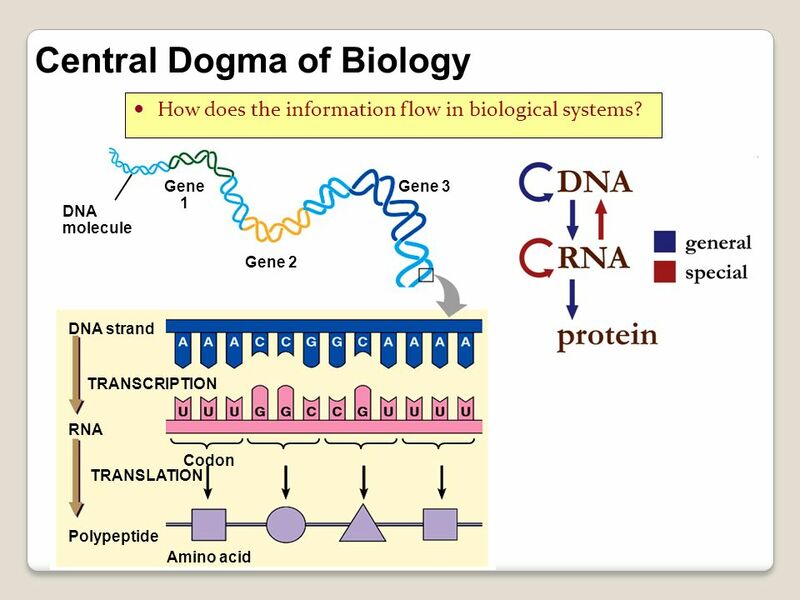 Some protein are composed of a number of polypeptides and in this theory each polypeptide has its own gene. e.g. haemoglobin is composed of 4 polypeptides (2 of each type) and there is a gene for each type of polypeptide. This theory, like so many in biology has exceptions. 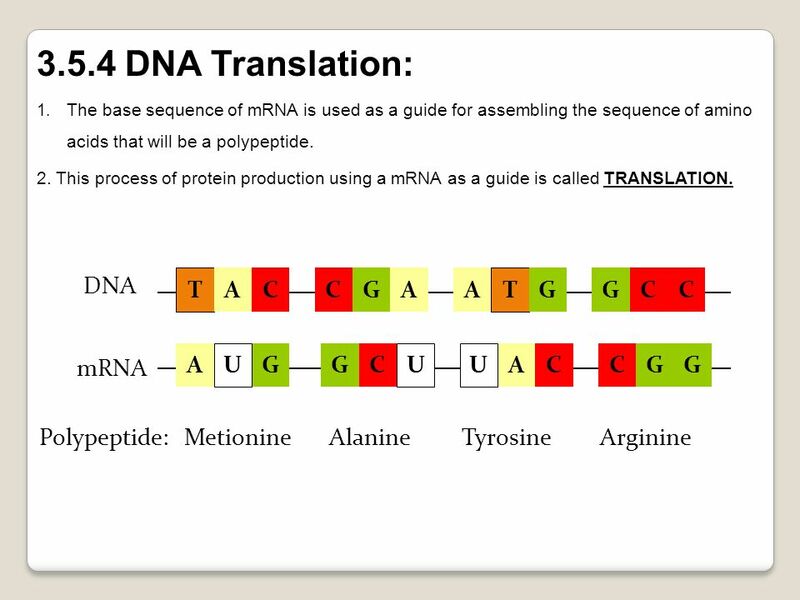 1) Some genes code for types of RNA which do not produce polypeptides. 2) Some genes control the expression of other genes. 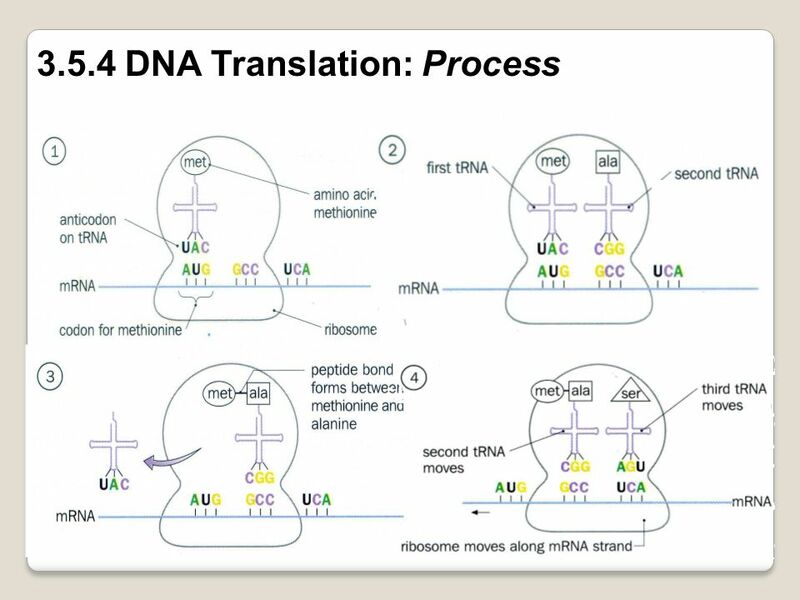 Download ppt "Transcription and Translation"
 Assemble the DNA  Follow base pair rules  Blue—Guanine  Red—Cytosine  Purple—Thymine  Green--Adenine. Protein Synthesis. 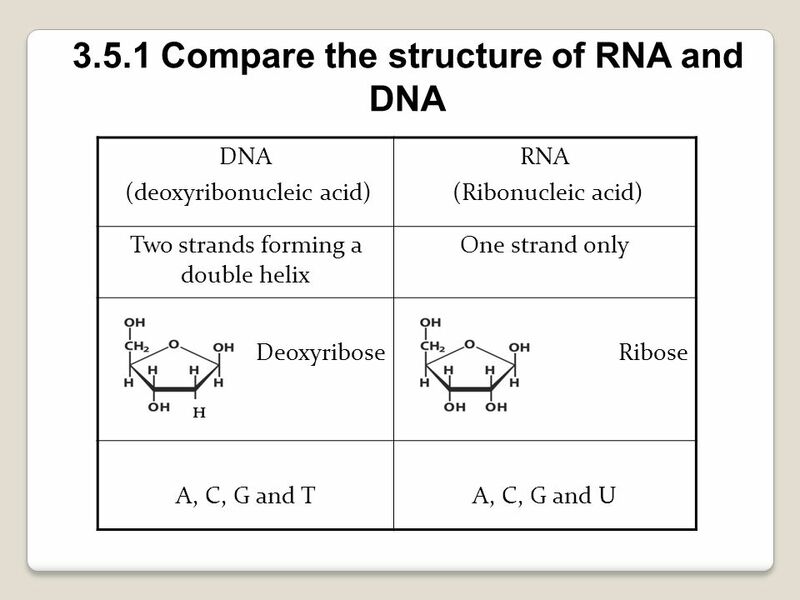 The DNA Code The order of bases along the DNA strand codes for the order in which amino acids are chemically joined together to form. From gene to protein. DNA:nucleotides are the monomers Proteins: amino acids are the monomers DNA:in the nucleus Proteins:synthesized in cytoplasm. 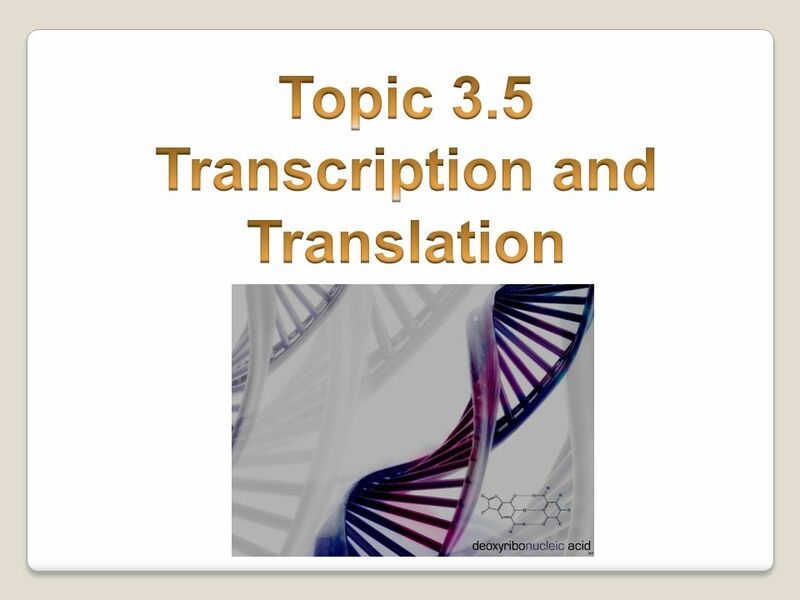 SC.912.L.16.5 Protein Synthesis: Transcription and Translation.